Sugar is a sweet substance that is used as a sweetener in food and drinks. Intake of sugar is done by everyone and is a requirement of the body but a high intake of sugar can cause major impacts on the body. It can lead to many health problems. It is known that an excessive intake of sugar contributes to the development of obesity. Obesity is a condition in which excess body fat has accumulated to such extent that it causes a negative impact on the health. The main source of sugar comes from the sugar added to processed food and drinks such as soft drinks, cake biscuits, pastries, It has been believed that lack of physical exercise is the main cause of overweight or obesity but excess calorie intake also plays an important part in suffering from obesity or not losing weight even after doing physical exercise. Some studies prove that increasing and decreasing the intake of sugar calories causes major effects on weight gain or weight loss. Also, sugar sweetened drink is one of the main cause of obesity in children. Sugar throws its impact on every part of the body and sugar throws major impact on the immune system as well. The human body has white blood cells that prevent bacteria from spreading infection and it also kills the bacteria. Also, Vitamin C is vital for the proper functioning of the immune system and to get rid of the bacteria white blood cells looks for vitamin C.
When we consume sugar, it breaks down into glucose which looks quite similar to vitamin C in chemical structure. Thus, when the body tries to look for vitamin C it grabs glucose instead of Vitamin. Immune system takes a long time to get rid of the sugar. Limiting the intake of sugar is the first important factor to prevent teeth from tooth decay. There is a strong link between dental caries and the total amount of sugar intake. Intake of sugar can be in the form of food or drinks. Tooth decay is caused by the plaque bacteria which digest the sugar and it also produces acid that attacks tooth enamel. These acids stay in contact with enamel even after you are done with drinking or eating. When these acids frequently come in contact with enamel it leads to tooth decay. The plaque will form faster when one increases the intake of sugar. Studies prove that higher intake of sugar is highly associated with coronary heart diseases. The main risk of cardiovascular diseases arises with obesity and obesity due to high calorie intake. Obesity too is linked with an intake of sugar. Apart from heart disease sugar is highly responsible for diabetes. Diabetes is a disease in which the body is unable to produce or respond to the insulin. It increases the level of glucose in the body. When a diabetic patient consumes sugar it increases the risk of further complications. 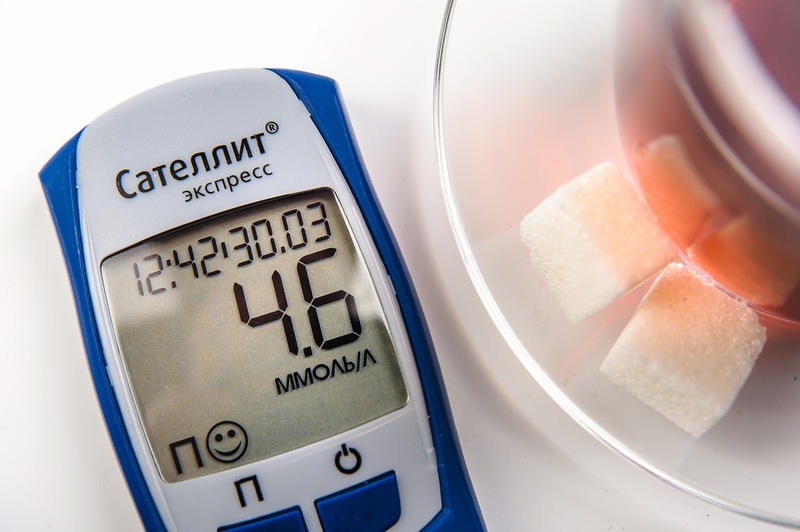 Sugary food and drinks contain a lot of calories which is not safe for a diabetic patient and those who are not a diabetic yet, it increases the risk of suffering from diabetes. This is true that the brain needs glucose for its functioning and glucose is the primary source of energy. But too much of this energy can be bad for the brain as sugar absorbs quickly in the blood and excess glucose lowers the functioning of the brain. Sometimes it also blocks the memory receptors. Share it with your family and friends and create awareness. Also, share your views in the comment section below. Is Diabetes common in children? Do you know the reasons why you have Type 2 diabetes?